Author and illustrator, J.D. 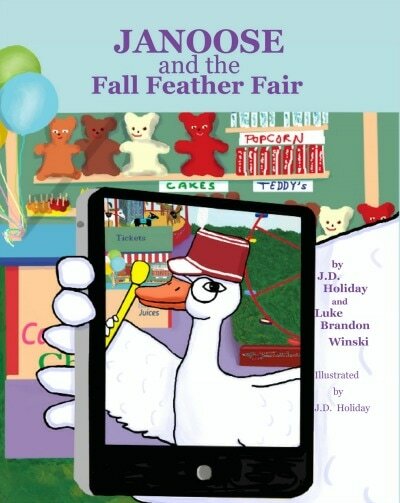 Holiday is the author of the children's books Janoose the Goose; the sequel, Janoose And The Fall Feather Fair; The Spy Game; a chapter book for six to nine-year-olds, THE GREAT SNOWBALL ESCAPADE; and for adults, a collection of short stories, STORIES AND IMAGININGS FOR THE READING SPOT. 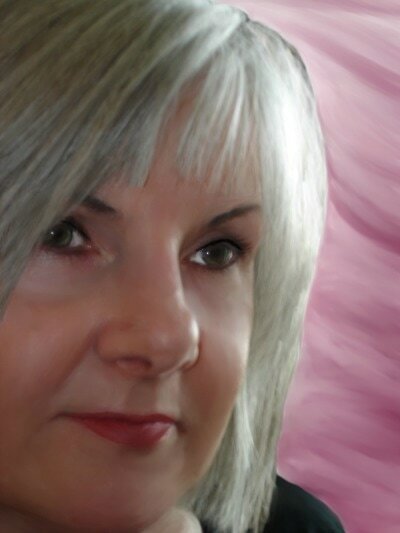 She has written a variety of short stories and articles. 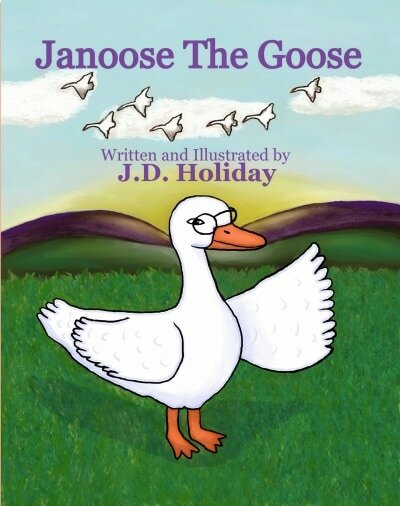 Janoose the Goose is visiting her cousin, Molly the Duck, on the farm. Janoose likes the barnyard very much but she must go home because there are no job openings there. When her flight home arrives, the fox has begun a crime spree, and Janoose is the only one who can stop him. The Fox returns to Free Range Farm and he has a score to settle with Janoose. How will the fox get his revenge? Janoose finds her job at the feather factory in trouble! Bags of feathers are disappearing, and Janoose is puzzled over how this is happening. But with help from her true friends at Free Range Farm, she will solve this mystery! Eddie would love to have a puppy to play with. A puppy would pull on a rope. Catch a ball and lick your face. 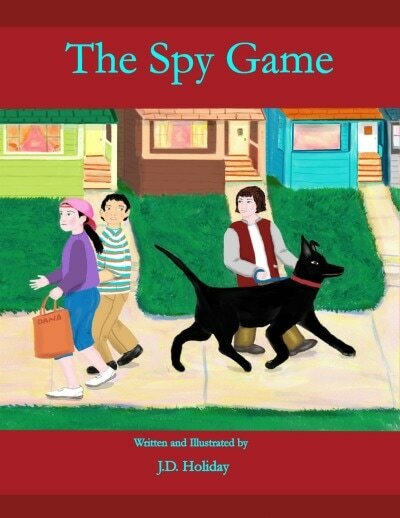 But his Uncle brings Eddie an older dog named about a famous spy. What can you do with an old dog? It probably couldn't learn new tricks, and the only thing this dog did was stare. It's what they find to do together that makes them the best of friends! Wilhemena Brooks' cousin, Bud Dunphry, came to live with her family. Wil's pencil sharpener is missing. Bud has it! Who else would have taken it? Bud doesn't like anybody. He's mean! 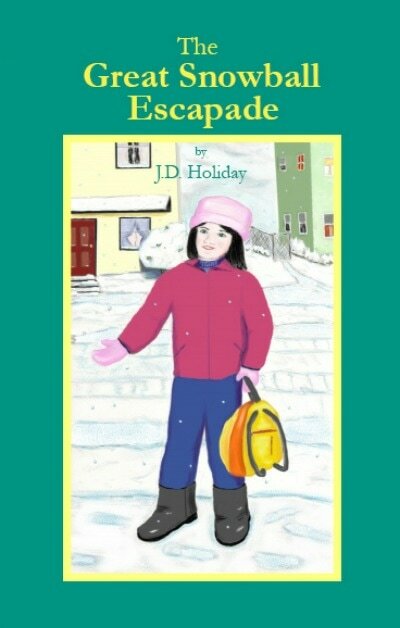 After a snowstorm closes school, Wil and her friends go sled riding. Bud shows up and starts a snowball fight which lands Wil in her room for the rest of the day for fighting. Wil must understand her cousin to stay out of trouble. She must treat him like she would like to be treated. Can she do it? The Cemetery Affair ~ This is a tales from here to eternity about love, hate, envy, vengeance, death and, maybe murder. Well, not murder, but revenge is sweet! Dangers of the Wilderness, New York, 1755 ~ What was it like in a young country where the lack of understanding causes people so different from one another to fight for the land, or flee in hopes of sirviving. Too Many Bobs ~ When a cat named, Bob has his tail bobbed by a remorseful landscaper, Stephanie is sent to return the cat and collect the money for the vet bill. The wounded cat’s injury proves more troublesome than Stephanie could have conceive of. The Name Game ~ A young boy named, Kelly becomes famous for ‘one day.’ Having the same name as a famous singer, Kelly is asked to appear on a game show taking the singer’s place. Kelly worries that his bullies don’t need anymore rocks to throw. Where The Heart Is ~ Annie is a cat, and she and the eight year old from next door, Ally make Mae’s decision to move into the Mountain View’s Retirement Home difficult. The One Eyed Wink ~ Angie never thought to see Joe again after so many years. After all, he was long died, wasn’t he? So the day she sees him on TV returning from a lost war, her life comes up against a new problem. Cherished Dreams ~ Dreams can bring with them memories of loved ones gone. Their visits sometimes are a prized gift.